Parrot 4.5 is officially released, and there are some major changes under the hood, powered by the long-term supported Linux 4.19 kernel series, preparing the project for the upcoming Parrot 5.0 LTS release. For future releases, Parrot Security plans to a support two kernels, stable kernel and a testing kernel. 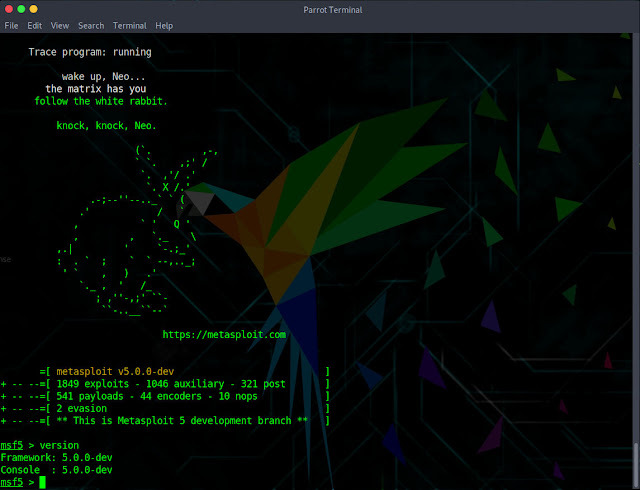 Parrot 4.5 also comes with the latest Metasploit 5.0 penetration testing framework, which introduces major features like new evasion modules, a new search engine, a json-rpc daemon, integrated web services, and support for writting shellcode in C.
This release improves the metapackages for developers, making it a lot easier to set up an advanced development environment for multiple frameworks and programming languages. These include parrot-devel, parrot-devel-tools, and parrot-devel-extra. On the other side, Parrot 4.5 is the first release of the ethical hacking operating system to no longer ship with installation or live images for older, 32-bit only computers. With this, Parrot joins the growing trend of GNU/Linux distributions dropping 32-bit images. However, the developers noted the fact that they will continue to support the 32-bit architecture with updates through the official software repositories for existing users.